The aim of the Multi-Year Accessibility Plan is to describe measures that SEW-EURODRIVE will take during the next five years to prevent and remove barriers for persons with disabilities in accessing SEW-EURODRIVE’S goods, services or facilities. The Plan will be reviewed once every five years. SEW-EURODRIVE is movement, tradition, innovation, quality, and service all in one - we prove this to our customers every day and have done so for 80 years. We do not just move countless conveyer belts, bottling plants, sports stadium roofs, gravel plants, assembly lines, processes in the chemical industry, your luggage at the airport, or even you on escalators; no, we also are moving ourselves. In our company, there is no such thing as standstill. Every day, nearly 550 researchers and developers are working on creating the future of drive automation and making it a little better. Collectively, about 14,000 employees around the world are moving to solve our customer’s tasks and optimize their processes. This is how SEW-EURODRIVE has evolved throughout its history to become the market leader in the industry of drive automation with a turnover of more than EUR 2 billion. The movement you need is created with various product solutions and drive systems. Depending on the requirement or the industry, SEW-EURODRIVE offers individual solutions from the comprehensive modular concept with gearmotors and frequency inverters, servo drive systems, decentralized drive systems, and industrial gear units. SEW-EURODRIVE is committed to ensuring that its policies, procedures and practices are consistent with the principles of accessibility. We endeavour to provide a barrier free and accessible environment for staff, customers, and third parties, with disabilities. SEW-EURODRIVE is committed to providing equal employment opportunities for persons with disabilities. We are also committed to meeting the accessibility and accommodation needs of employees with a disability, in a timely manner. When an employee or a job applicant with a disability makes a request for information to be provided in an alternate format, such as information that is needed in order to perform the employee’s job or information that is generally available to employees in the workplace, the company will consult with the person making the request to determine a suitable format that takes the employee’s or job applicant’s accessibility needs into account. The information will be provided or arranged for in a timely manner. SEW-EURODRIVE provides individualized emergency response information to employees who have a disability, if the disability is such that the individualized information is necessary and SEW-EURODRIVE is aware of the need for accommodation. If an employee who receives individualized workplace emergency response information requires assistance, and if the employee grants permission, SEW-EURODRIVE will provide the workplace emergency response information to the person that the employer designates to provide assistance. After becoming aware of the need for individualized emergency response information, SEW-EURODRIVE will endeavour to provide the information to the employee as soon as is possible. the organization reviews its general emergency response policies. When recruiting, we provide accommodations for applicants with disabilities. We notify our employees and the public about the provision of accommodations on our website and in our job postings. When we select a job applicant to participate in a selection process such as an assessment or an interview, we notify the person that accommodations are available, upon request. If a selected job applicant requests an accommodation, SEW-EURODRIVE consults with the applicant and provides a suitable accommodation that takes the person’s accessibility needs into account. 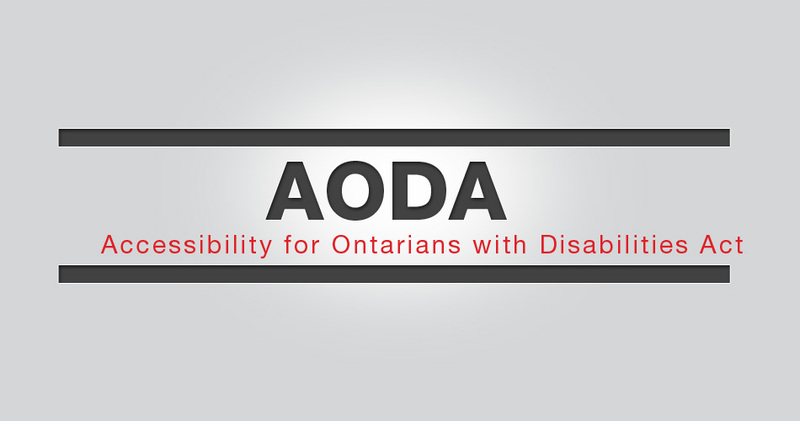 We are committed to the provision of accommodations for job applicants and employees with disabilities in a manner that takes into account the job applicant’s or employee’s disability and accessibility needs. When SEW-EURODRIVE offers a job applicant employment, we provide the person with information about our accommodation policies for employees with disabilities, as soon as is possible. This information is provided to current employees on the SEW-EURODRIVE website. We also use our website to notify employees when there are changes or updates regarding job accommodations for persons with disabilities. 1. We meet with an employee who requests accommodation for an initial discussion and to determine an optimal method of individualized assessment, if needed. We consult with the employee throughout the process. 2. If required, SEW-EURODRIVE will arrange and pay for an expert evaluation, such as a functional abilities evaluation, to determine if and how accommodation can be achieved. 3. An employee is welcome to have a representative in the workplace, participate in the development of the accommodation plan. 4. Upon request, individual accommodation plans will be provided to an employee in an alternate format that takes into account the employee’s particular accessibility needs, due to his/her disability. All individual accommodation plans inform the employee that SEW-EURODRIVE provides information in an accessible format or with communication supports, if requested. The plans also identify all accommodations that will be provided. If needed, we include individualized workplace emergency response information in the accommodation plan. 5. Personal information with respect to the accommodation plan will remain with the Human Resources Manager. It will not be released to any other SEW-EURODRIVE employees without the employee’s consent, except in the case of an emergency. 6. SEW-EURODRIVE reviews and updates individual accommodation plans annually or if or when there is a change with respect to the employee’s functional status (e.g. the employee’s functional status improves or regresses). The review includes a meeting with the employee and consideration of feedback provided by the employee. Any changes that need to be made to the accommodation plan will be discussed with the employee and if necessary, an expert assessment will be arranged at SEW-EURODRIVE’s expense. Employees are encouraged to provide regular feedback about the efficacy of their accommodation(s). 7. If a plan is denied, we will meet with the employee and provide the reasons for the denial and upon request, SEW-EURODRIVE will provide the reasons in an alternate format. SEW-EURODRIVE has a process for developing and documenting a return to work plan for an employee with a disability who has been away from work because of a disability and requires disability-related accommodations in order to return to work. The return to work process outlines the steps SEW-EURODRIVE will take to facilitate the employee’s return to work. The process may eventually lead to an individual accommodation plan (see above). SEW-EURODRIVE will take accessibility needs and individual accommodation plans into consideration for employees with disabilities during a performance management process, or during career development and advancement or when an employee is redeployed.